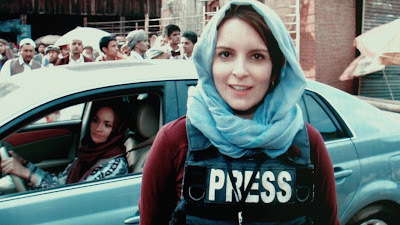 Oddly enough seeing Tina Fey as a war correspondent is something no one wanted to see until it actually happened. Whiskey Tango Foxtrot, which ultimately translates to WTF, is based on the memoir of Kim Barker titled ‘The Taliban Shuffle: Strange Days in Afghanistan and Pakistan. The film features zero scenes in Pakistan, instead focusing on the Afghan town “Kabubble”, one of many changes made. In 2002, news producer Kim Baker (Tina Fey) decides to shake up her life by taking a new assignment in Kabul, Afghanistan. Quite shaken by the culture change, Baker is taken under the wing of Tanya Vanderpoel (Margot Robbie), a fellow journalist in the war zone. Amid the chaos of everything Afghanistan has to offer, Kim Baker slowly discovers what it means to be a good corespondant. Perhaps the biggest problem Whiskey Tango Foxtrot has is its confusion over what type of film it wishes to be. Is it a drama? Maybe a comedy? Or perhaps a romance? It changes from genre to genre as a quick pace, one that can’t be shrugged off as just dipping into each. The script, by Robert Carlock, has some witty dialogue with a few moments of tension, but features the unintelligent decisions of seemingly smart characters just to create those dramatic moments. The story is relatively cookie-cutter fish-out-of-water storytelling with some violence and language thrown in. The performances, however, really redeem the film. Tina Fey is at her best here and perfectly cast as Kim Barker (even though they changed the last name). But she isn’t the standout here. While Billy Bob Thornton is funny as the stereotypical general and Martin Freeman is great as the roguish Scottish photographer, the true standout is Christopher Abbott. As Kim’s handler and interpreter Fahim, Abbott offers the film a more sympathetic character than anything else. He becomes like a brother to Kim and that relationship becomes a real highlight by the end credits. A minor misstep might be the casting of Alfred Molina as the Afghanistan official with a minor infatuation with Kim. It’s not that Molina is bad in the role by any means, in fact he eats the dialogue up here, but it’s the casting of a clearly non-afghan actor for an Afghan role. It seems like something that could’ve been easily done considering how minor the part was. On the bright side, the character and Fahim are neither one portrayed as stereotypes, and that has to be somewhat commended. 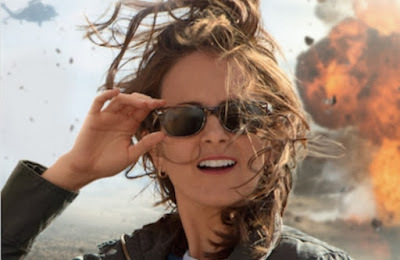 So what did you think of Whiskey Tango Foxtrot? Have you seen it and what's the best Iraq war film you've seen? Share, comment below, and as always return back to I Am Sam for weekly reviews and insight.